Nike hasn't confirmed a release, but the shoe does exist. 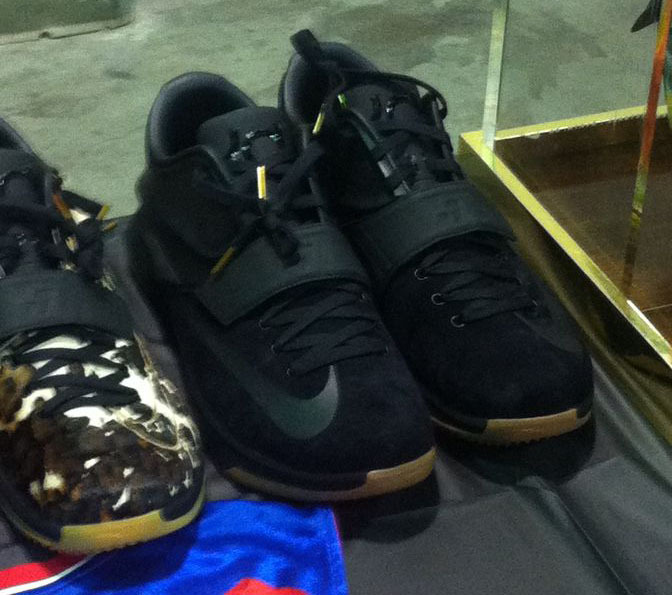 Is a 'Black Suede' EXT KD 7 on the way? Nike hasn't confirmed a release, but the shoe does exist. Kevin Durant's good friend Randy Williams displayed his personal KD collection at this weekend's OKSoles sneaker show, including the 'Black Suede' 7. Adding to the luxury look are gold lace tips, a leather interior and gum rubber outsole. Let us know what you think about this possible drop and stick with Sole Collector for updates. 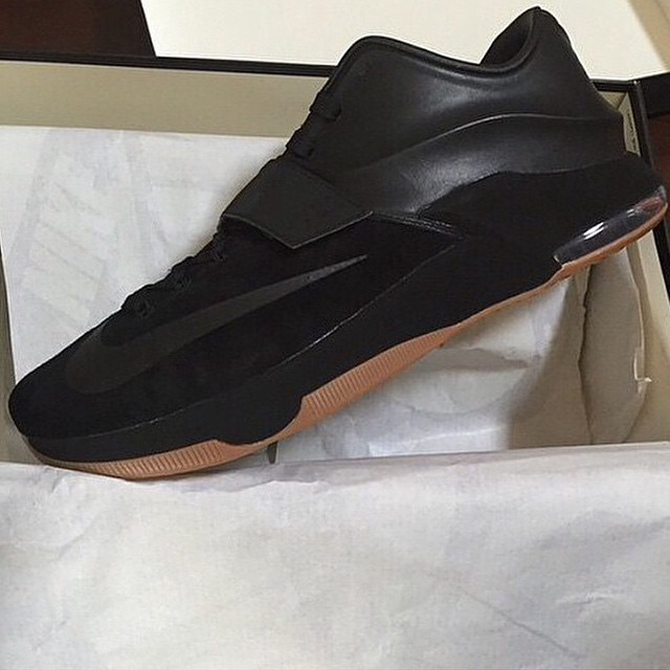 UDPATE 11/13/14: Another image has surfaced via cracckicks of the KD 7 "Black/Gum".